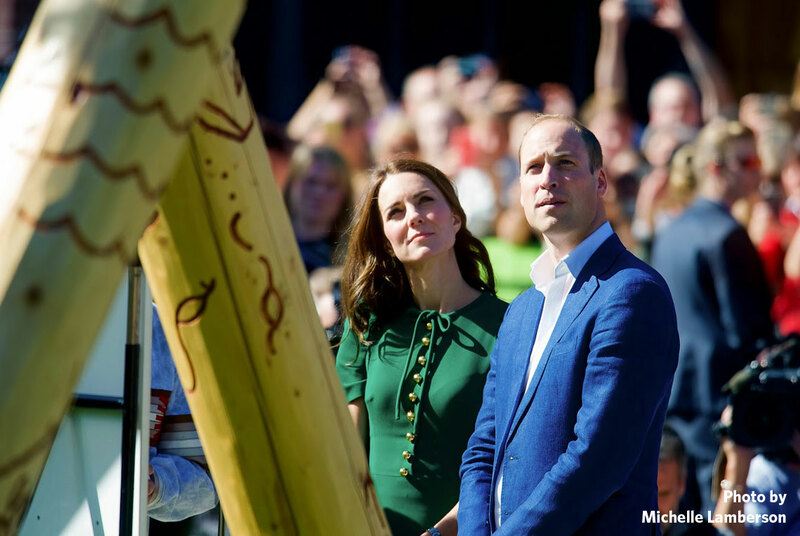 The Duke and Duchess of Cambridge visited UBC Okanagan on Tuesday, September 27, as part of their 2016 tour of Canada. A public ceremony in the Central Courtyard dedicating a new Aboriginal art installation commemorating the University of British Columbia’s centennial and the 10th anniversary of the Okanagan campus. A visit with UBC students in the gymnasium, where the Duke and Duchess joined approximately 1,500 UBC Okanagan students to watch an inter-squad game with the UBC Okanagan Heat women’s volleyball team. The Duke and Duchess departed campus at 1:40 p.m. immediately following their time with students. The University of British Columbia (UBC) is a global centre for research and teaching, one of only two Canadian institutions consistently ranked among the world’s 40 best universities. With campuses in Vancouver and Kelowna (in British Columbia’s Okanagan Valley), UBC has embraced innovation and challenged the status quo for more than 100 years. Purpose-built in Kelowna to meet the challenges of the 21st century, UBC’s Okanagan campus is an intimate learning community known for its entrepreneurial spirit. More than 8,000 of UBC’s 60,000 students learn and study at UBC Okanagan, where they enjoy face-to-face interaction with professors, smaller class sizes, and opportunities for direct involvement in cutting-edge research projects. Life at UBC Okanagan is shaped by its diverse learning community, Kelowna’s thriving economy, and the natural beauty of the Okanagan Valley. The campus is located within the territory of the Okanagan Nation, whose spirit of environmental stewardship is maintained in UBC’s commitment to sustainability and respect for the land. UBC Okanagan has an exceptional relationship with the Okanagan Nation Alliance (ONA), which represents the eight member communities of the Syilx people, the Indigenous people of the Southern Interior region of British Columbia and Northern Washington State. The University works closely with the ONA to enhance the education of Indigenous students, including tailored post-secondary supports, Indigenous research and scholarship, and cultural competency training for future health care professionals. Like UBC Okanagan, the campus’ varsity athletics teams, the UBC Okanagan Heat, are gaining a reputation for excellence. Last spring, in only their fifth season competing at the national university level, the Heat women’s volleyball team earned a medal in their first trip to the CIS national championship; the team’s coach, Steve Manuel, was named CIS Coach of the Year. 2015-2016 marks both the 10-year anniversary of UBC’s Okanagan campus and The University of British Columbia Centennial. Commissioned to commemorate UBC’s Centennial, the art installation prominently featured in the Central Courtyard at UBC Okanagan was created by artist Les Louis, a member of the Lower Similkameen Band. Drawing inspiration from a tule-mat lodge, the traditional summer lodge of the Syilx people, the piece is constructed of pine logs, each telling a story using pictograph symbols. Funded in partnership by the UBC Centennial Initiatives Fund and the Okanagan Nation Alliance, this work adds to the visual Indigenous presence on campus and is an acknowledgement of place and the territory on which the campus is located.